The migration to other networks may be weighing on demand for Ether, which has been range bound in recent months. Investors don’t always need it to buy into ICOs, which were traditionally issued over the network. Online video-game players don’t have to depend on Ether to purchase in-game merchandise -- such as weapons or even virtual cats -- that are now featured in many so-called distributed applications, or dapps. “Owning Ethereum today is a call option on what you think the network is going to be in the future," said Travis Kling, founder of the Los Angeles-based crypto hedge fund Ikigai. “To the extent that Ethereum competitor projects get traction with developers, with users, with dapps built on top of the platform, that will be viewed by the market as being detrimental to the overall value of Ethereum, and that can have a negative price impact on Ether." The market share for dapps has shifted already. Only 28 percent of dapps users were on the Ethereum network as of January, compared with 100 percent a year earlier, according to tracker DappRadar. EOS accounted for 48 percent of active dapps users, while Tron has grabbed 24 percent, DappRadar found. Of total dapps released in January, Ethereum was still ahead, with 40 percent of market share, according to DappRadar. EOS and Tron are already at about 30 percent each. "The reason why they got so much adoption, those new protocols, is that they offer considerably better speed, transactions per second," said Patrick Barile, chief operating officer of DappRadar. “The volume of transactions they can do is considerably higher. That means if you have a dapp, then you have a much better user experience." Ethereum’s slow speeds and high cost are also a reason why some startups are issuing their tokens elsewhere. Alpharetta, Georgia-based Ternio offered its coin, TERN, on Stellar last year, because it needed Stellar’s faster network, Ternio Chief Executive Daniel Gouldman said. The company is about to go live with its prepaid crypto debit card. "If you are at a McDonald’s drive-through, and waiting 20 minutes because the Ethereum network is overloaded at the moment... With Stellar it’s fast and cheap," Gouldman said. "For what we were trying to accomplish, it was a much better product." Transactions running on Stellar costs less than Ethereum transactions, he said, making it much more attractive for users. 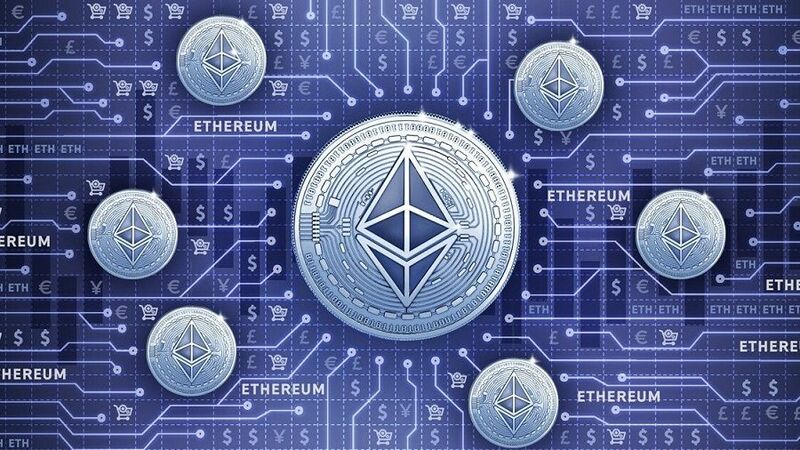 "Ethereum’s scaling plan is a multiyear process and exceptionally difficult to execute, so developers are trying out other options," Kling said.